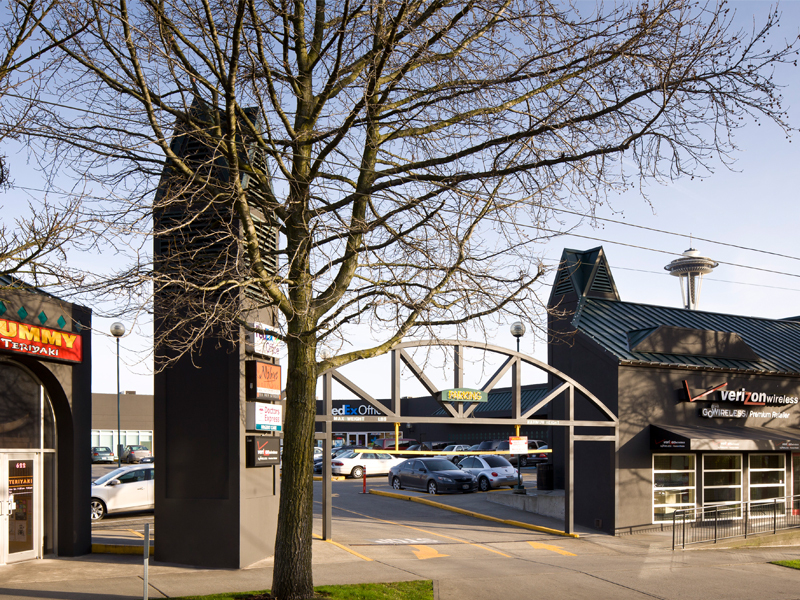 Developed in 1995, and located at Mercer Street and 1st Avenue North in lower Queen Anne, (the neighborhood that’s home to Seattle’s Space Needle), the Marketplace at Queen Anne provides the neighborhood with a variety of essential goods and services. 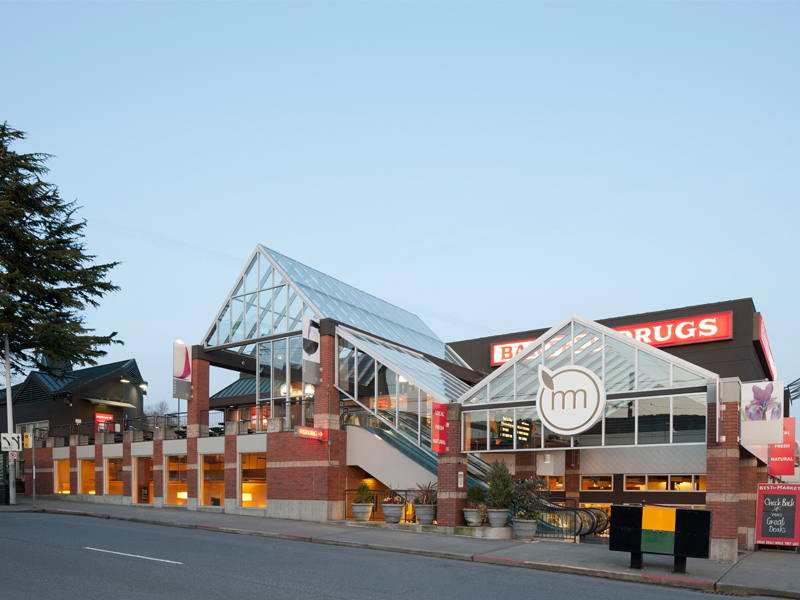 The development spans a full city block, and is anchored by a 48,000 square foot Metropolitan Market. 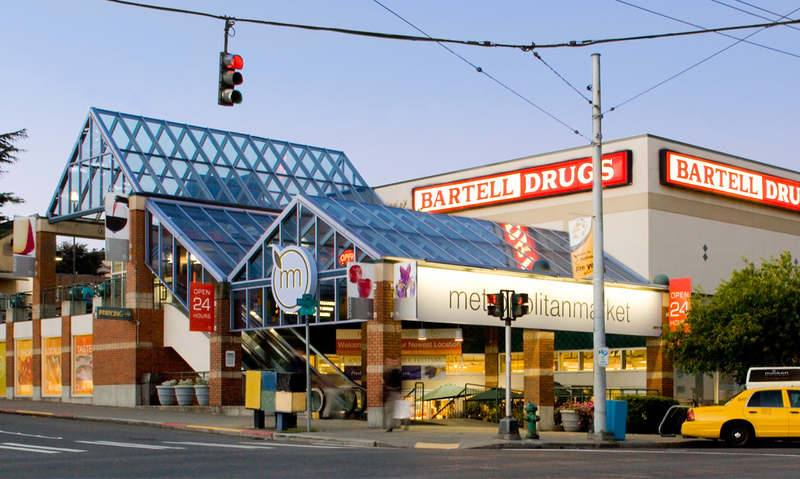 This high-end grocery is complemented by a 20,000 square foot Bartell Drug store and several additional neighborhood retailers. 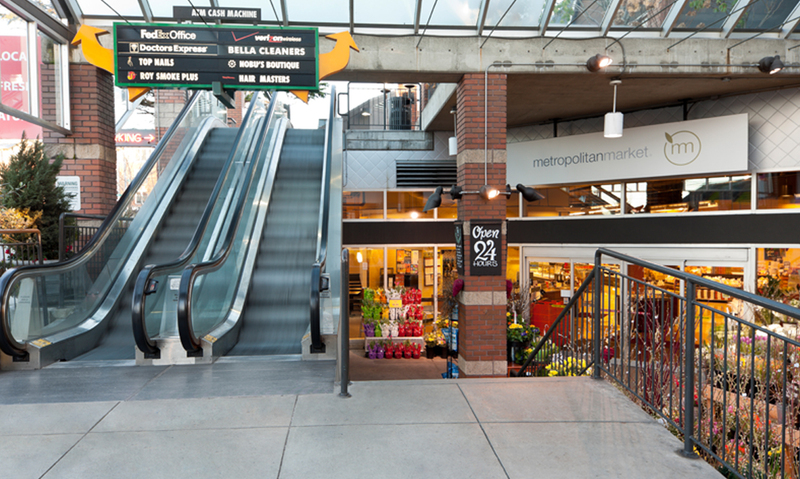 Outdoor escalators and elevators provide vertical integration of the two retail levels and the 229 parking spots, which are located in both an underground and surface lot.